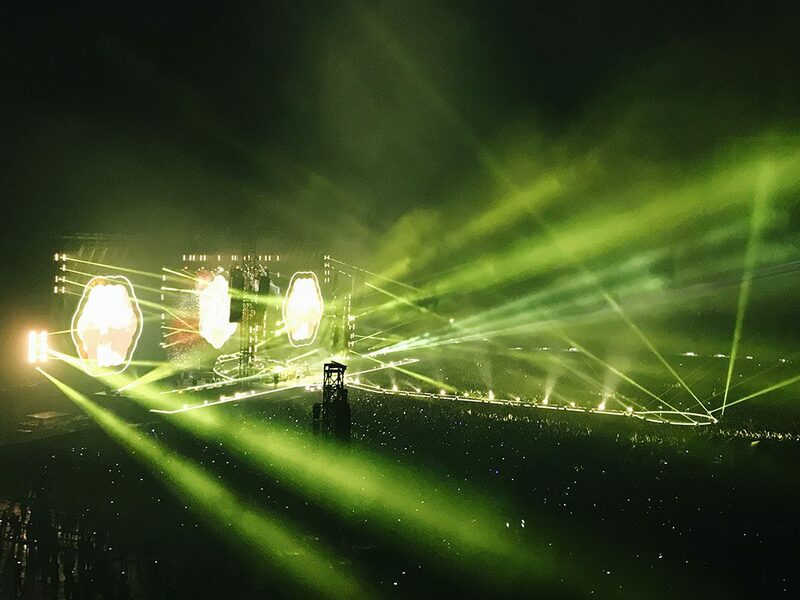 Friday the 7th of April 2017 was a great start to my birthday weekend (my birthday was on the 9th of April), because it was the day all Thai Coldplay fans have been waiting for with high anticipation. 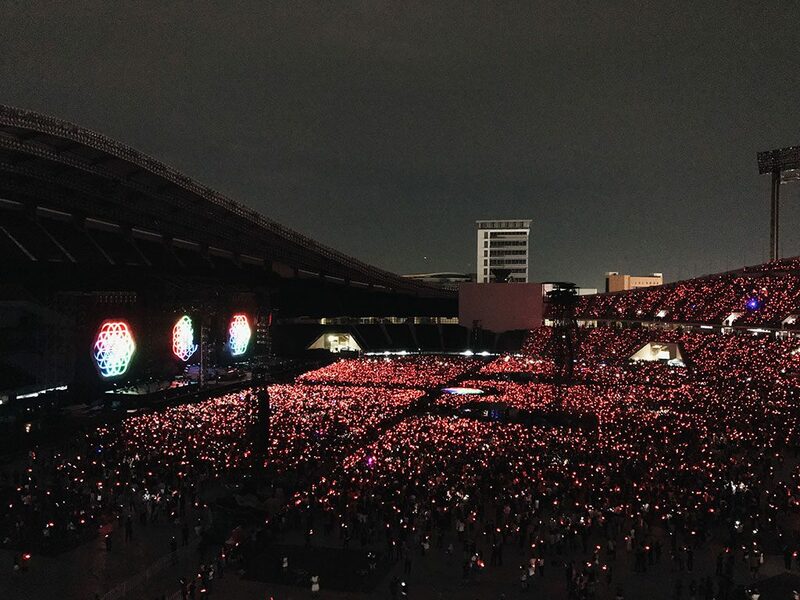 After 14 years since their last concert in Bangkok back in 2003, finally Coldplay has come back to perform for us Thai fans at the Rajamangala National Stadium as part of their A Head Full of Dreams Tour. Now, to be honest, when they first announced that they would be touring Asia, I was like….”they’re not coming to Thailand as usual”. They would probably go to other Asian countries that normally get some of the best big international acts like Japan, Hong Kong, or Singapore, which, based on the band’s initial list of destinations including Singapore, Philippines, Taiwan, Korea and Japan, what I thought was right: Thailand did not make the list. But surprise, surprise! To everyone’s delight, Thailand was later added to the list, confirming that the band would be performing in Bangkok on the 7th of April 2017 after their gig in the Philippines. However, after this surprise announcement, I was having a bit of a dilemma about whether I should get tickets to see Coldplay perform for the second time. 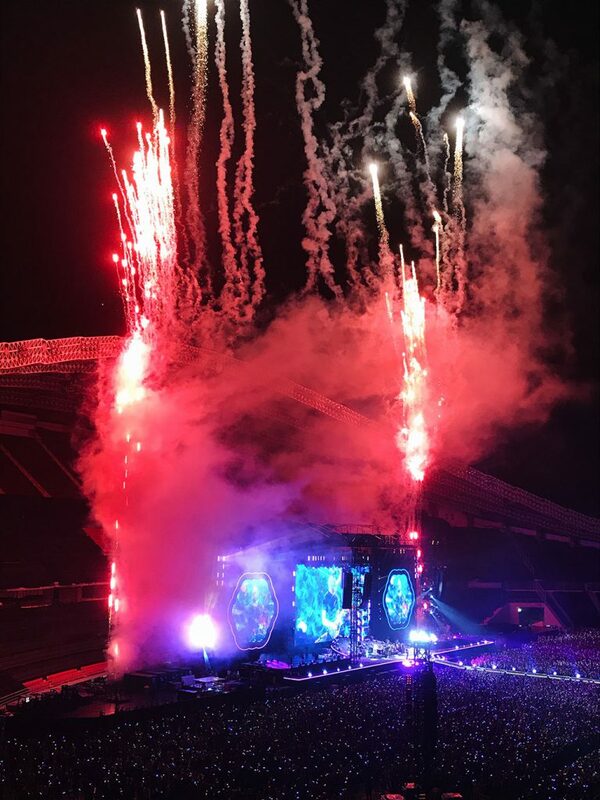 The first reason was because I already saw them perform live in London back in 2012 for their Mylo Xyloto Tour, so I kind of knew what to expect of the band’s performance and concert production, which were of course AMAZING – the fireworks, big colorful balloons, confetti, and Xylobands. 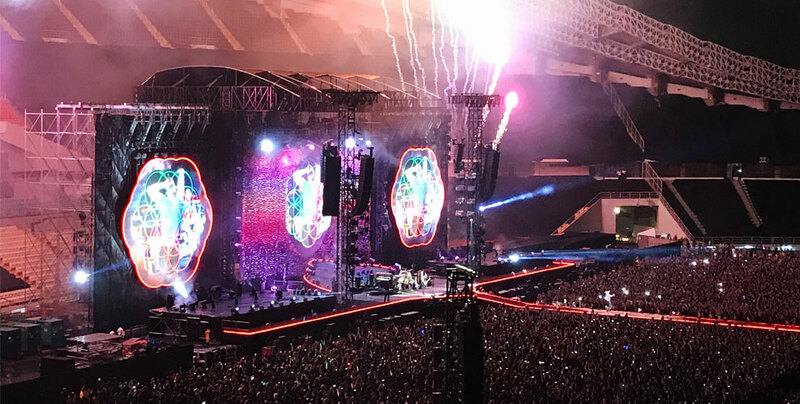 Coldplay definitely knew how to entertain their fans, and being at that concert was a dream come true. As for the second reason, the price of the tickets was expensive. 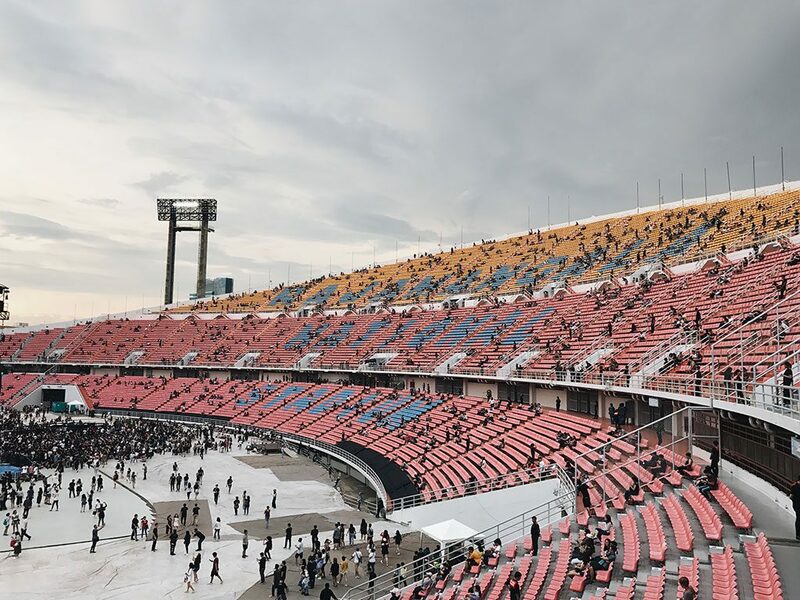 The cheapest tickets already cost 1,800 Baht, and standing tickets cost from 5,500-6,500 Baht. So for me to get standing tickets like I did for the concert in London was pretty much out of the question. 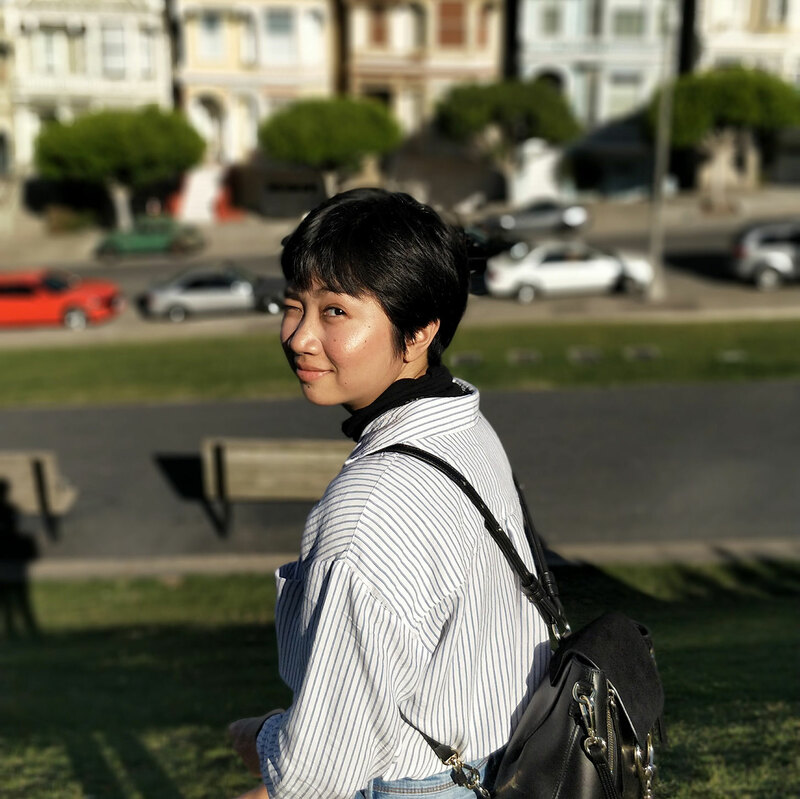 But then…as an avid fan of Coldplay who first fell in love with their music after hearing the first chords to In My Place, getting to see them perform live the second, third, or fourth time will always be an unforgettable experience, plus this time they will be performing in my home country! I knew that if I miss this opportunity, deep down I will forever regret it. So in the end, I decided to get the 1,800 Baht seating tickets for me and Adam (even that wasn’t easy, the battle to get the tickets was nuts! 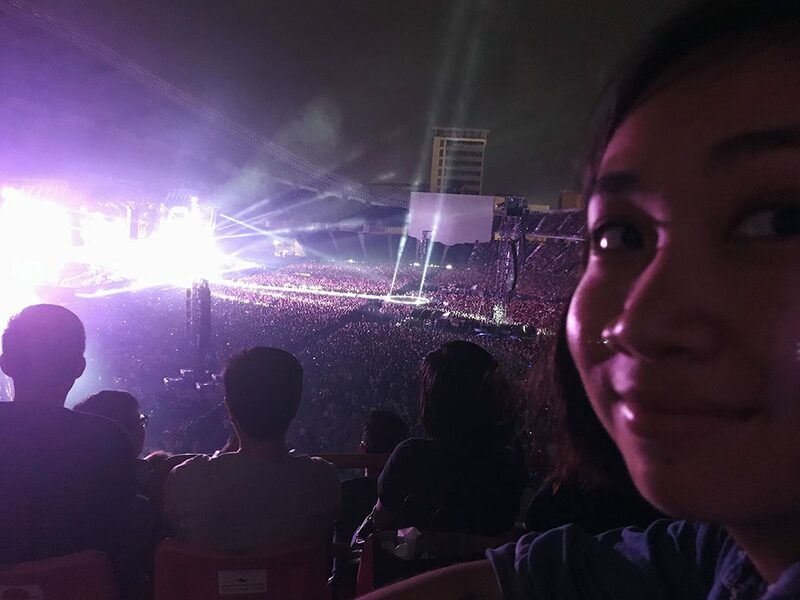 ), and hoped to enjoy the show as much as possible knowing that we probably need binoculars in order to see Chris Martin and the gang up close haha. As expected, Coldplay did not disappoint us fans. They played almost all of the fans favorite songs, from highlights like the all-time classics Yellow, The Scientist, Fix You, Clocks, Don’t Panic (a fan request), Paradise, Viva La Vida, a slower, mellow version of In My Place, to new favorites like Every Teardrop Is A Waterfall, Magic, Midnight, Everglow, Charlie Brown and songs from their latest album like A Head Full of Dreams, Adventure of a Lifetime, and Hymn For The Weekend that sound pretty awesome live. I think it’s safe to say that they are one of the best live bands in the world. They really knew how to keep the crowds alive, and the production was truly stunning and magical. 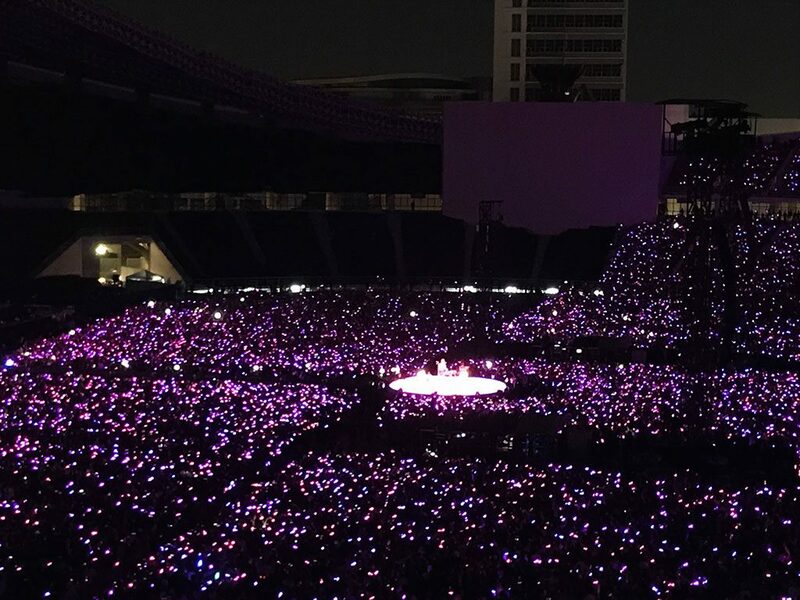 I didn’t at all regret that I was in the farthest zone to the stage in the stadium. Instead, I felt incredibly happy and blessed to be able to be a part of the band’s amazing show. 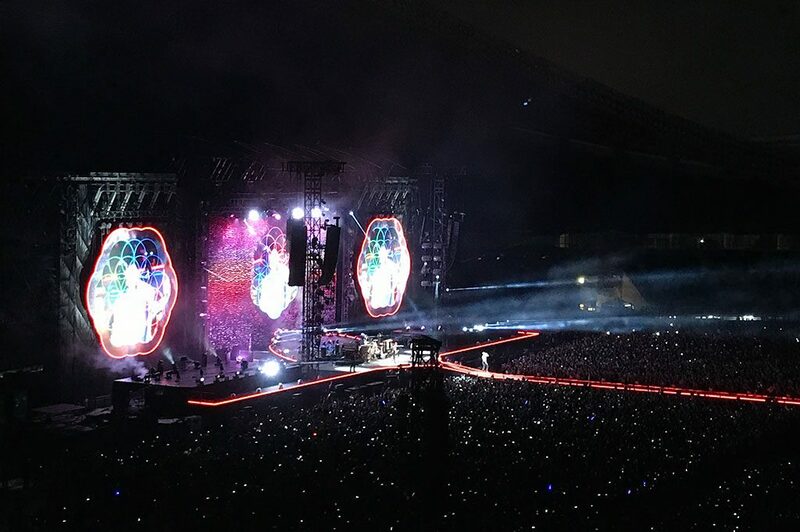 Believe me, ask any Coldplay fans who have been to their shows, and everyone would say that Coldplay’s live concert is worth every penny. 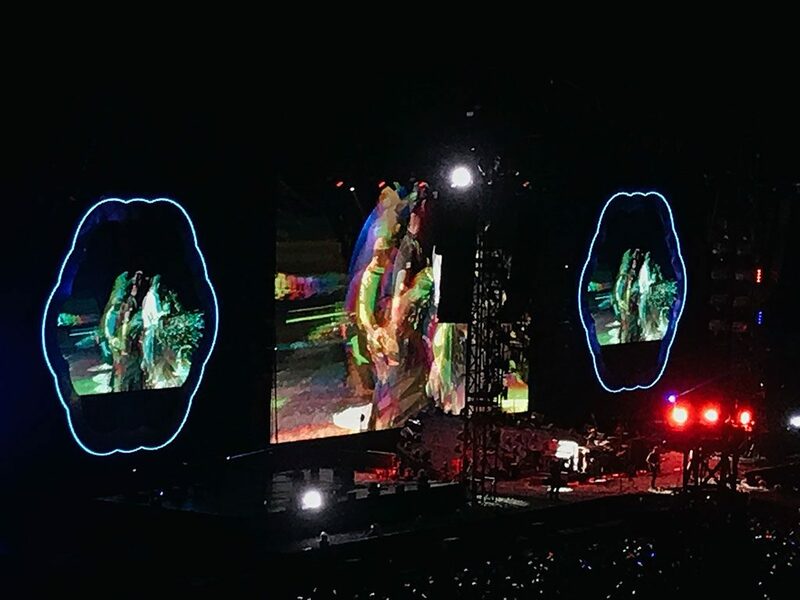 That was Chris Martin performing the song ‘Everglow’, in which he dedicated the song to our beloved late King Bhumibol of Thailand. Cue the tears. 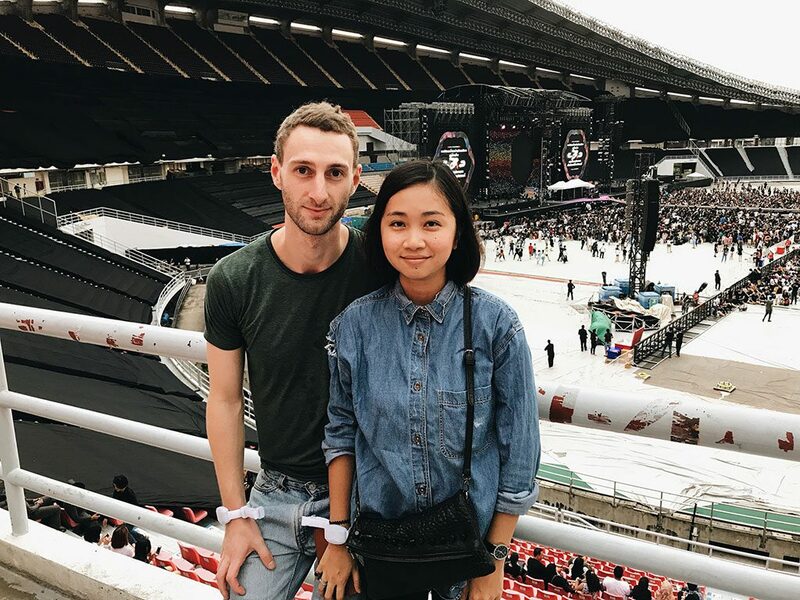 After seeing Coldplay live for the first time in London in 2012, I never imagined I’d get a chance to see them perform live again for the second time…especially not in Bangkok! Thank you for putting on such a spectacular show for us Thai fans!